Our dedicated team with a vision for peace. Previously, Janessa taught political science at her undergraduate alma mater, Principia College, and was a consultant to the State Department. She has a Master’s degree in International Policy Studies from Stanford University and a bachelor’s in International Relations from Principia College. Janessa lives in Redding, CA with her husband and three young children. She enjoys spending time in nature, running, and yoga. Kathryn (Katy) Lunardelli is a global leader and listener, having worked in multicultural settings for the last two decades. Katy comes to Euphrates after eighteen years in the field of corporate social responsibility and ethical sourcing where she worked for Reebok International, Hasbro and most recently the Fair Factories Clearinghouse (FFC). At the FFC, she led initiatives for companies and multi-stakeholder groups to collaborate on improving the human rights conditions in supply chains. Katy holds an MSc in Human Rights from the London School of Economics, a B.A. in Sociology and World Perspectives from Principia College and a certificate from the graduate level “Leadership for Change” program at Boston College, Carroll School of Management. She has served on the Board of Directors for Global Grassroots, a nonprofit organization with a mission to catalyze women and girls as leaders of conscious social change. Other volunteer activities include teaching college courses on corporate responsibility, tutoring refugees in English and volunteering at the Ocean State Montessori School. Katy’s professional, educational and volunteer experiences have led to her current role at Euphrates. She joins the team with a purpose of seeing and experiencing unity between other people and our environment. She has a deep interest in the connection between personal and societal transformation and the power of grassroots peacebuilding initiatives. Katy resides in Providence, Rhode Island with her husband and three children. For the past 10 years, Sylvia Murray has been working at the intersection of conflict transformation, peace education, values-driven leadership, and organizational behavior & development, including her role as a co-founder of an international peace leadership nonprofit. She has recently completed an MA in Conflict and Coexistence and an MBA in Nonprofit Management at Brandeis University. 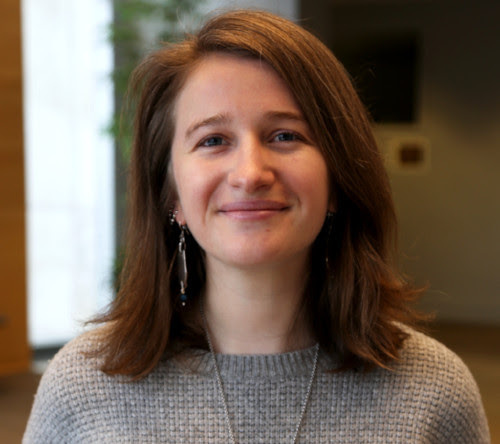 Sylvia worked with Euphrates as a Program Development Specialist last summer, and is excited to return as a Strategic Impact Consultant working to continue and deepen Euphrates' efforts on collaborative and courageous organizational transformation. Anna Zoë Herr is from Berlin, Germany, where she currently resides. She has lived for an extensive time in the US, completing her Bachelor’s in January 2018 with a double major in Studio Art and Global Studies. During her time at college she directed two conferences: The International Perspectives Conference in 2015 under the theme of “Empowerment as Equals” and in 2016 the Millennium Campus Network Conference on the Sustainability Development Goals of the UN, held at Howard University in Washington D.C.. Zoë also interned with the Christian Science Monitor, where she published her first written pieces on entrepreneurship and progressive topics. At her college, she tirelessly worked on building more understanding about sustainability, including bringing more humane meat to the college kitchen and starting a conversation about more plant-based meals in the dining room. Her activism led her to be asked to lecture several times. For her engagement with international issues and activism for those that have less of a voice, she was the awarded the Alfred-Gertsch Freedom award, the Global Perspectives Award and the Bertha Canova Scholarship for a student with a promising career in foreign service. She has worked as a writer, a graphic designer and in the field of social justice as well as sustainability, all of which have cultivated a keen awareness of the world. Her painting and photography has been shown at several exhibitions (you can see her work at http://www.stonesandfeathers.com). Zoë currently pursues a MA in Global Studies to then become more active as a researcher, activist and journalist. Natalia Garvey was born and raised in Surabaya, Indonesia. Following high school, Natalia moved to the United States to pursue education in Accounting and Management Information Systems at San Francisco State University. After college, Natalia worked at KPMG LLP where she had interned as a student in the Information Risk Management group. Natalia enjoyed the fast-paced environment and working with multiple clients at a time, performing IT advisory and IT audit support. In 2010 Natalia and her husband left San Francisco for Redding and joined her husband’s family business, where she currently works part time managing the books and doing marketing, advertising and graphic design. She spends most of the rest of her time with her two children, but makes time to volunteer locally for CASA and The Women’s Fund. Growing up in Indonesia, Natalia was exposed to people of many different faiths. Being raised as a Christian in a mostly Muslim country helped her understand some of the challenges faced by minorities. While there is undeniable tension in the country at times, she is proud of Indonesia’s official recognition of five different major religions and the solidarity of the Indonesian people. It is this concept of co-existence that drew her to the Euphrates Institute, where she enjoys supporting the work and goals envisioned by the Institute’s founder. Duncan grew up in Westport, Connecticut and graduated from Principia College with a BA in Mass Communication. He is currently a freelance videographer based in New York City. His video production company, Rhythm of You Productions, was founded in 2013 and produces music videos, wedding videos, promotional videos, and short films. He is also the cinematographer of an award-winning dance film company called Wilder Project. His film projects have been selected to multiple international film festivals. Find his professional website at: www.rhythmofyou.com.